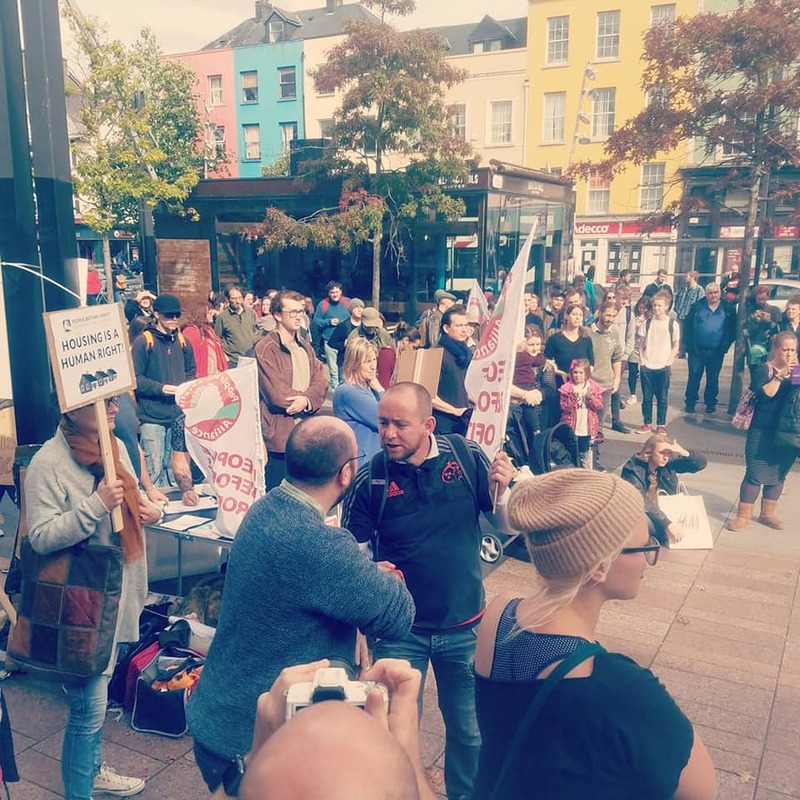 With just three days notice, over 200 people turned up to a rally and protest march organised by People Before Profit in Cork City, on 15 September 2018, to stand in solidarity with #TakeBackTheCity in Dublin after activists there were subject to Garda brutality on North Frederick Street, Dublin. 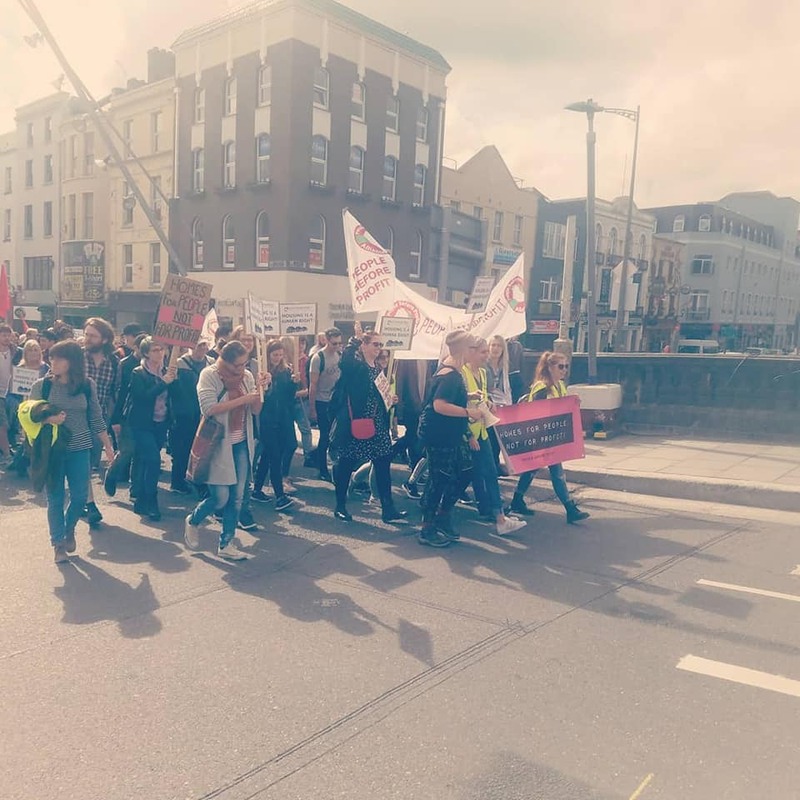 Our rally condemned the violent behaviour of the Gardaí and called for the housing crisis to be meaningfully addressed. 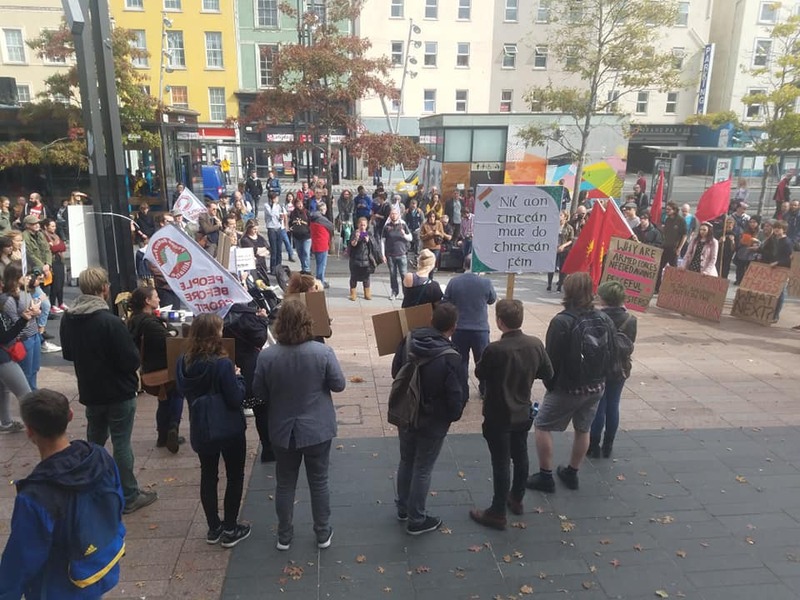 Crowds gathered for speeches on Grand Parade from representatives of People Before Profit, Solidarity and the Connolly Youth Movement. We then marched through the city in what was a vibrant, passionate and creative demonstration. The movement for housing is gaining traction and there are many more actions to come. We look forward to working with other parties, groups, unions, charities and individuals in the coming months as we continue to fight for a fair housing policy. 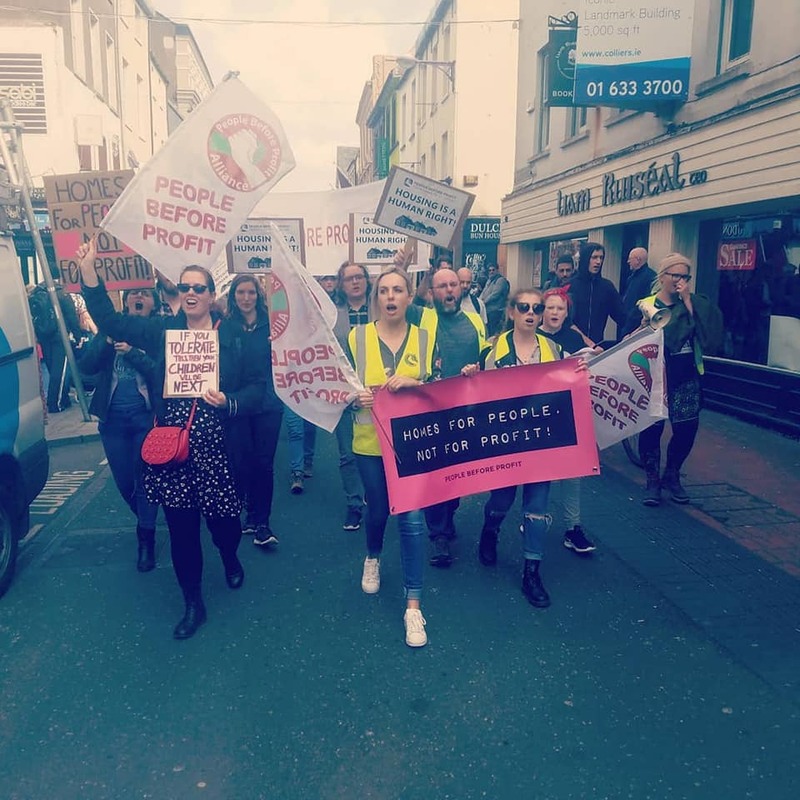 We won’t stop until no one is homeless, no one has to worry about losing their home, and no one has to pay extortionate rent to private landlords. We need a public house-building programme now! HOMES FOR PEOPLE – NOT FOR PROFIT!